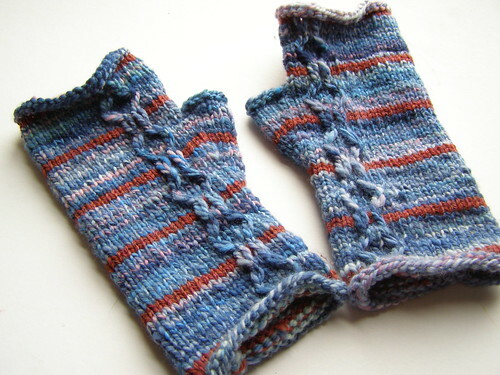 made from my handspun (a fiber club colorway…) and some commercial wool. raveled here. and my brother got this hat you already saw. i’m working on a couple more hats for some more boys, but i’ll show those when i’m done. overall, not too much knitting this year! i’ve mostly been dyeing this week (see the few pics i took over here in the facebook group) and have spent most of vacation busting out some patterns. one baby vest almost ready to publish, one mitten/fingerless mitt pattern and a baby dress pattern with testers! not to mention the lace shawl that got stuck in test knitting this summer :/ guess i should do something about that one. i have in progress 2 colorwork mitten patterns, one colorwork hat pattern, 1 small sweater (also to be sized up with larger yarn to bigger sizes for all of my friends’ older boy children), another baby vest, and a little dress like coverup. i’ll show pics of the dress/cardi thing and the baby vest shortly. can’t show you everything all at once ;) and who knows how much i’ll really get done once ben goes back to work. so there you have it. i’ll try to get some photos of the new yarns for you to look at soon. last dye day for quite a while is monday! i’m grabbing everything undyed i can get my hands on. 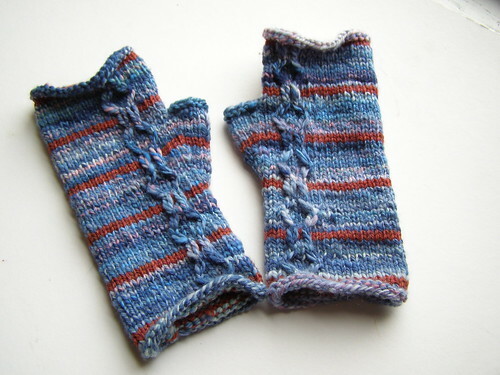 This entry was posted in cosyknitsliterally, handspun, knitting, mittens, patterns by cosymakes. Bookmark the permalink.